The book recaps a 25 year period from 1987 to 2012, and contains historic moments experienced by the Bank and its Subsidiaries (Grenada, Guyana, Barbados and Cayman Islands) through the eyes of staff, past and present. Delivering the introductory remarks, Republic Bank's General Manager, Group Corporate and Communications, Anna-Maria Garcia-Brooks,noted that although the Bank faced some note-worthy battles in the corporate arena, there were also many victories which were recorded in the Bank's first book, "From Colonial to Republic". "History is created every day by our actions, inactions and events taking place around us. 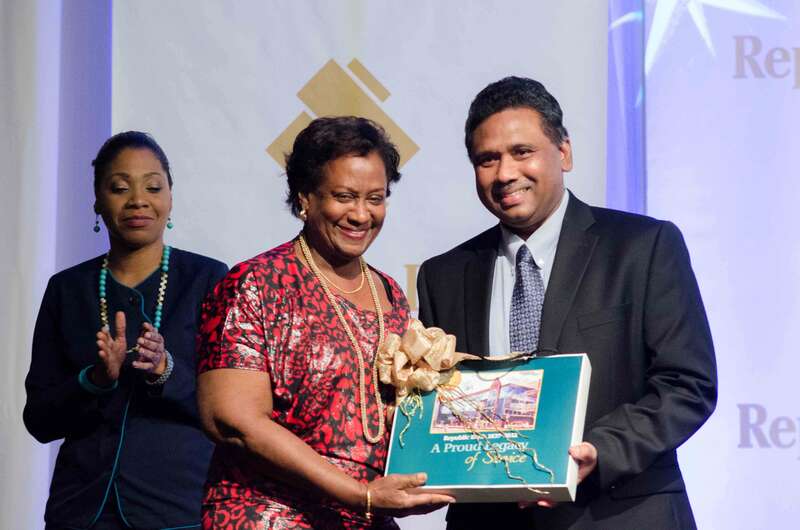 As you would imagine, over the 25 years from 1987 to 2012, many more events have unfolded, history created and changes embraced, as we continued to serve the people of Trinidad and Tobago and the wider community," Garcia-Brooks said. 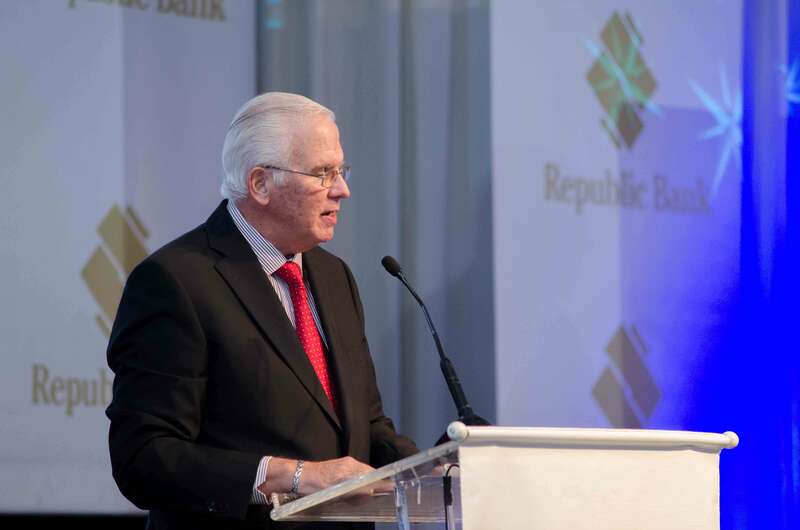 Taking the audience on a trip down memory lane, Republic Bank's Chairman, Ronald Harford, said that Republic Bank and the Catholic Church, were the only two organisations which have survived the longest in Trinidad and Tobago. He also shared some of the Bank's undertakings experienced over its 176 years of existence. The book was produced by Paria Publishing and printed by Scrip J. Some of the attendees at the event were; Deputy Governor of the Central Bank, Joan John, Former Managing Director of Republic Bank, Dunbar Mc Intyre, Chamber of Commerce representatives, and members of the Executive Team from the Bank's Subsidiaries. Providing entertainment was soloist, Wendy Sheppard, who serenaded the audience with two renditions of "Memory" and "Hey Jude". The book will be available at all Republic Bank branches at a cost of $400, with proceeds going toward The Republic Bank Literacy Fund for At-Risk Youth. Republic Bank is proud of this publication and looks forward to sharing with the people of Trinidad and Tobago and by extension the wider region, history at its best.